What makes Apple so valuable as a company? Why is Tesla worth so much? How did Dyson come up with such a great vacuum cleaner? The answer is, at the heart of these companies’ greatness (and, importantly, their enterprise value), is a very strong core asset – an element of strategy that any business, large or small, can create. Using a simple and effective thirty-step process, Thirty Essentials: Strategy will help you define and design the most valuable core asset possible to dramatically increase the value of your business. This successful framework is based on the extensive experience of Andrew Laurie, a top business coach and former-CEO of a multi-billion-dollar company. It is based on the same principles he implemented to grow that company from sales of $50 million to $2 billion in under two years. 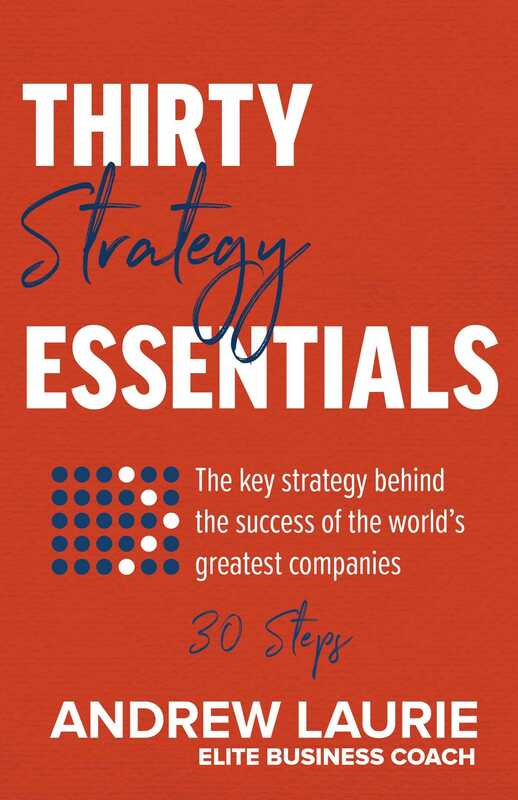 Where many existing books on strategy tend to be theoretical and complicated, Thirty Essentials: Strategy presents a straightforward process to define a great core asset that can be implemented by everyone from small business owners to senior executives at large corporations. Andrew Laurie is a successful entrepreneur and business coach who is regularly ranked among the top business coaches in the world. The former-CEO of a multi-billion-dollar travel company in the UK, he went on to build one of the most successful business and executive coaching companies in Australia, and has assisted countless others to build prosperous businesses. Andrew has lectured at Sydney Business School, has completed his MBA at INSEAD in France and has Economics and Honors Law Degrees from ANU. Andrew lives with his wife and two sons in the Blue Mountains, Australia, allowing him to pursue his other great passions: fun times with family and friends, helping young Australians to have a better life and skiing, sailing and rock climbing all over the world.